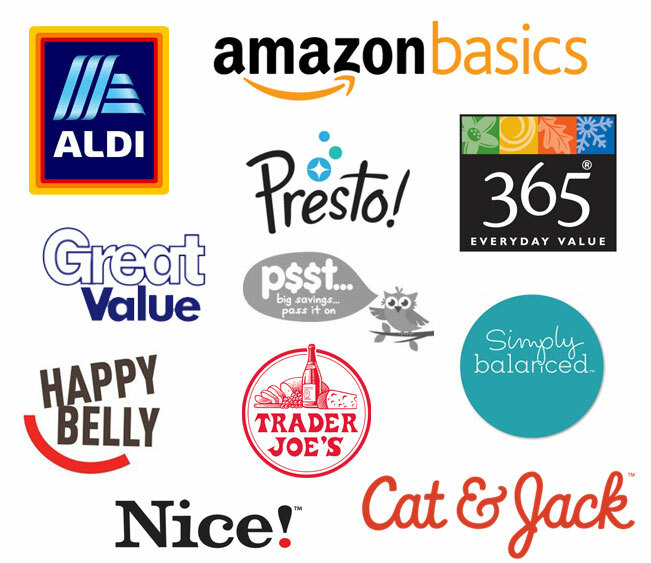 Amazon Basics to Cat & Jack: Who are your Competitors in a Brand Agnostic World? From Amazon Basics to Cat & Jack: In a Brand Agnostic World, Who Are Your Competitors? Who are your competitors in 2018? I’ll start with a quick story that isn’t too much of a digression. I have an avocado waste problem. I love to eat them for lunch, but just one half at a time. I’ve tried every which way to wrap the other half in plastic and save it for later. But time and time again, I come home from work to a brown, unusable avocado half. I finally decided enough was enough. It was time to solve this problem. So, like 55% of us, I began my quest on Amazon. I searched for “avocado saver”, analyzed the reviews, and came up with a winner, the Avo Saver by Evriholder. Although in hindsight Evriholder seems reputable, I had no prior knowledge of the brand before making my purchase. And I didn’t bother to look into who they were before buying with a single click of my trackpad. Had the brands I’m already loyal to—KitchenAid, OXO, Pyrex—appeared in the search results, it may have played into my decision. But I didn’t begin my search with those brands. Maybe I’m just a millennial, because according to AdAge, millennials are more benefit-driven than brand-driven. And although I like to think I’m on the “cusp” between millennial and Gen-X, most millennials get their information from sources outside of push-driven, high-priced television, billboard and print ads. Millennials just don’t understand why a shopper would buy from a brand blindly when they could take a few seconds to read reviews to find out if and how the product works. Retailers are launching more private label brands, and they are thriving. Nobody recognizes the brand agnostic situation better than Amazon itself. The company originally launched its own “generic” brand called Amazon Basics in 2009. What started in the consumer electronics space (i.e. batteries) has expanded to household supplies, pet supplies, sporting goods, and more than a dozen other categories. What’s more, there are at least 19 other brands owned by Amazon that span toilet paper, cosmetics, baby products, food and apparel. If you’ve purchased a product by Beauty Bar, Happy Belly, Mama Bear, NuPro or Pike Street, you’ve purchased from one of Amazon’s brands. And it’s not just Amazon. Target has a growing line of private brands, as does Whole Foods, Dicks Sporting Goods, Aldi, Trader Joe’s and more. Are These Guys Your Competitors? The short answer is, yes. Although “brand agnostic world” is a strong term (there are plenty of brands with a loyal base—think Patagonia and Apple), the landscape is changing. If generic or private label brands are producing products that are priced lower and get positive feedback from consumers, they will continue to grow in a cyclical manner. That means, even if they aren’t putting a dent in your ROI today, they soon will. which products work well, according to consumers who’ve used them? which products are priced well? They can get this information in a matter of minutes by doing a web search, which doesn’t bode well for the search starting with a brand name. How Can I Deal with this Onslaught of Competitors? First things first: change your mindset on who your competitors are in 2018. Yes, brand is still a big factor, so you’ll want to keep the traditional competitor set. But you’ll also want to incorporate other brands that are having an impact. Even if they are generic or private label. Even if they just launched last year. 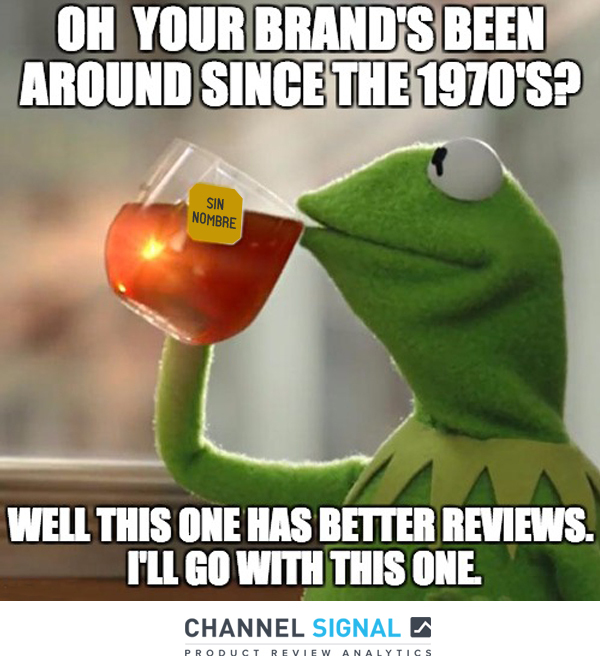 Channel Signal is a competitive intelligence tool that helps you uncover market opportunities in today’s ever-changing landscape. Interested in seeing your competitors’ reviews? Ask us for a demo. Oh, and just so you know, the “avocado saver” reviewers served me well. The AvoSaver—the little gadget that looks like a safety harness for your favorite pitted vegetable—is true to its name. No more brown mush and food waste for this millennial! Running Insight 3.1.19 Paul Kirwin provides insight into how specialty retailers can be noticed in a crowded environment. Stand out in the age of the consumer. Bad Reviews Cost You Money. Let's Do The Math. Enter an Amazon product URL to see the impact your 1 and 2 star reviews are having on both your online and offline sales.